Husband, kids, and baseball practice? Yeah, I’ve got this. You need a team parent? Sure, no problem. Nursing school? Um, as long as I’ve got it all in my planner, we’re cool. Second semester? Okay, it’s a little more intense, but I’m managing. Vice President of the student nurse’s association? That’ll look great on a resume and I love people and planning things. Oh, clinicals are TWO days a week now? Total patient care, you say? Alright, I’ll step into this. Awesome! I’ve been elected VP of our class and get to do fundraising (by the way, I’m totally open to suggestions on this one) and help plan our pinning ceremony!! And…..WALL. I’m exhausted. This isn’t to scare you, because nursing school is AWESOME. My classmates are the best (we’ve actually taken to calling ourselves the Best Cohort EVER, and I’m sure this is the truth) and our instructors are phenomenal. Like, rock stars. As enriching as this experience is, and I’m learning a ton about myself as well as all of my content, it’s flippin’ intense. Did you know that the cutoff for making a C in nursing school is 77% ? Yeah, that was news. I’ve not yet reached that point, but it’s in the back of my mind. So when you hear people say things about people passing with a C and still becoming a nurse, recognize that they’ve performed at a higher than average level. Anyway, here’s my point. Yes, I’m tired. Yes, I’ve discovered Spark by AdvoCare and it’s my secret weapon. It awakens my body AND brain (coffee has the jittery “awake” that leaves my mind foggy), yet allows me to sleep easily at night. I’ve had more than one fellow student ask to try it, then approach me the next day asking where they can get some. Seriously, it happened to me THREE TIMES this week. It’s THAT good. But now I need my body to feel good. Having busy kids and a car meant I was no longer riding the bus, walking, and riding my bike everywhere. Do you know what happens when a person stops being so active? You guessed it, we get “fluffy”. I’m a comfort eater. Also, a boredom eater…so, I’ve “expanded” a bit. Again, I’m looking to AdvoCare and the 24 Day Challenge. Have you tried the 24 Day Challenge? What were your results? How did you feel? I’m not looking to get down to my pre-baby weight or anything, because those days are long gone and I’m cool with that, but I want to FEEL better. I want to have more energy. I want to cleanse my cravings and I want a team to do it with me! So what do you say? Are you in? Do you have questions? If I don’t know the answers, I’ll get them for you. We can learn and do this together. I need the support network and I’d like to be that for you. Go to my site (Like I said, Spark has been a tremendous help, so I become a distributor.) and check things out here: Kilter’s AdvoCare Site . If you have questions, please ask me. If you want to join in, place your order, leave me a response on the blog, and we’ll get things in order with a private Facebook page and a starting date. If you’ve done this before and have advice, leave us a comment and share your wisdom! Now…LET’S DO THIS!!! Categories: AdvoCare, Family, Nursing School, Uncategorized | Tags: AdvoCare, energy, family, nursing, school, tired | Permalink. Nine months later and here I am. So much has happened that I wouldn’t even know where to start. And I don’t know if it impacts anyone else if speak on this forum or not. I do know that I “should” be cleaning my kitchen, and I “should” be reading. I begin my second semester of nursing school in a few days and I’m already behind on reading assignments! I also know that I have a birth mom and paternal birth aunt who are very excited and supportive of my nursing education. It goes without saying that my mom and dad are proud of me, of course. I’m so blessed to have parents who have been consistently loving and supportive of me throughout my life. Honestly, why do people feel the need to house things within the realms of all or nothing, black or white, yes or no? Is it REALLY so difficult to accept the grey areas? As I read the comments from fellow adoptees, whose sentiments were a resounding, “No, I’m living proof that this isn’t possible.”, I understood how they could say such things. It’s terrible that they grew up feeling unloved, different, but for individuals who were supposedly trained and educated in psycho-social sciences to say such a thing? For shame. How can one NOT take into account the diverse nature of each situation? Everyone’s experiences are so varied; there’s no such thing as a “cookie cutter” adoptive situation. We, as humans, are the sums of our natures as well as our nurturing. We all have backstories, experiences that have shaped who we are and what we’ve become. These very experiences and the ways in which we’ve handled or overcome them speak to our ability to love and the ways in which we are able to display that love. And what about perception? Again, how we perceive things speaks volumes for any differences we may or may not feel about our situations. While I appreciate the guts it took for those people who spoke honestly about their feelings, I’m disappointed by the notion that they, somehow, are the ones who can speak for all others. As if THEY are the scholars on this subject? So, why am I back here on this page, after nine months of being away? Because these are the kinds of thoughts that roll around in my head as I’m doing dishes, or any of the other mundane chores I do on a daily basis…but this time, I took the time to stop. Too often, I tell myself that I’ll come back to it later, but that moment is always lost. This thing, this article, it just makes me too angry. Too disappointed. Too sad. Categories: Adoption, Family, Love, Uncategorized | Tags: adoption, belonging, family, Love | Permalink. My request was mailed on March 25, after having to drive up to see my daughter so SHE could request my OBC for me (because I have no proof of my name change that happened a few years after she was born). Our check “entered the system” on April 1st, and cleared our bank April 7th. Here I sit, trying to wait patiently and plan for the trip back up to see my daughter when it arrives in her mailbox. She’s been looking for it for almost a week. Meanwhile, my husband will be leaving town tomorrow for almost a week. I try to prepare a plan for when it comes, because I require a plan in my daily life. I know I will Skype him, should it arrive while he’s gone. Will my three daughters want to be with me when I open it, and do I even want to wait for anyone else? So much of my life has been spent alone, secluded…even though I was adopted into a family of six older brothers. I’ll not say that there haven’t been times when I’ve appreciated the space, though. I have to wonder if it’s selfish of me to want to open that envelope alone or if I’ll want someone there. At times, I feel as though my large family is smothering and oppressive, just because they actually LIKE to be around me, and that my need to be separate and removed is a handicap. Categories: Adoption, Family | Tags: #OHadopteesROAR, adopted, OBC, original birth certificate | Permalink. Now, Then, and Yet to Come…. It’s been over a year since I’ve been here on the blog and for that, I apologize. I realize that you’ve not lost much sleep over it, and that’s okay with me, but I also know that I’VE needed it. It’s been a period of all kinds shifts and hermitudes. I know that’s not a word, but see how I’ve kept typing? This is me letting go. In this past more than a year, I’ve learned more new things about myself than I can impart, and the process is ongoing. I’m here now to put down my thoughts on how gains and losses can happen so very quickly. I’ve been researching the effects adoption has had on my life for the past few years. There have been many “a-ha!” moments in which I realized that many of my traits were less about me being a screw up and more about me being a part of a larger group of people who have such similar experiences. So many shared traits. I have seen the support of my family and friends in doing what they can to push for legislation that will FINALLY allow me access to my original Ohio birth certificate. There are so many of us who will have the information that many of our countrymen have had at any time they wanted, yet we have been denied. I thought this day would never come, but it will be here on March 20, 2015 and I will never forget this day. As I’ve been waiting this past year out, from the time the law was passed to the future date of March 20th, I’ve been riddled with anxiety and excitement all at once. I can’t say it’s been an easy ride for my family, bless them. For Christmas, The Colonel put together some lovely “De-funk the Funk” themed gifts. He’s the best gift-giver I’ve known, but he outdid himself with one of them. It still brings tears to my eyes as I type this. Even knowing what it was for a month, because the company does nothing to hide it’s name on packages (even when marked as a gift) and I was the one to get the mail, I was speechless upon opening that present Christmas Day. I had received a DNA kit from Ancestry.com. I’m not joking, I cried and couldn’t speak for at least 10 minutes. I took the test and mailed it in. And then I waited. I knew it said it wasn’t likely to come back with any results for 6-8 weeks, but it didn’t stop me from checking in weekly. At some point, I found out it had been received and they had begun the process. Again, please wait. One morning I checked the site. Nothing. That afternoon I checked my email…and there was a message from Ancestry. My test results were in. I briefly considered waiting for The Colonel to get home to open it together, and quickly knew he’d understand. Wait, I’m SCANDINAVIAN? And Irish? Okay, I’d have never guessed! In learning about this kit, I had decided that, should it not come up with relatives, I’d at least be happy to know my ethnicity. I mean, knowing I’m German, Polish, and African was great, but I knew there was more to the story and I surely wanted to know it! But…I had cousin matches. A LOT of them. Hold up. A second cousin? That’s pretty close! And she’s brown? That meant we were (most likely) related on my birth dad’s side. I know a little bit about birth mom’s side of the family (and I mean very little), but bDad has been a complete mystery! I’m leaving a fair amount out now, but the quick story is that I contacted a handful of matches and then had to wait to hear from them. Would they be willing to talk to me? To help me learn about who I am? Then, late in the evening, the night before Valentine’s Day, I received an Ancestry message that said something to the effect of, “…your description of your birth father sounds like my brother…” Are you flipping kidding me?! No. Way. Emails have flown back and forth and I have found family that I never thought I’d know. In the same day that I found my birth father, I also lost him. He had passed away some years ago. But his sister, my aunt, and I share so much in common! I also found and lost a sister, another aunt, and a grandmother. There is still the unknown of my bdad’s father, but so much has been filled in for me. I still have so many questions yet to be answered, but I’m also learning so much. I’ve seen someone, other than my kids, who looks like me. I’ve spoken to someone so like me in interests and personality that I feel as though someone is spying on me and is catering their interests to mine, yet I know that’s not the case. It’s all so surreal and, in the end, it makes me appreciate the loving support of my family even more. I’ve not been made to feel guilt about wanting to know more about myself, like so many others have. My family has been excited right along with me as I’ve shared what I’ve learned. I’m sad that I’ll never get to speak to my father. I’m glad that I now have even more of a legacy to share with my kids, one that comes from those who raised me and another that is based in genetics. I now have a history that extends beyond the day I came home to my (adoptive) family. There is just so much…. Categories: Adoption, Family | Tags: adoption, family, loss of parent, reunion | Permalink. Butter Wilde over at Hunger and Thirst has a big heart and feels deeply. She hosts a a themed Wild Things Round Up where she invites others to submit recipes. Her most recent fall edition features ways to utilize wild foods in support of low-cost meals. With cuts made to supplemental food programs, Butter’s heart was breaking and she wanted to do what she could to help those to be affected. Like I said, her heart is big, and it’s warm. 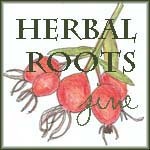 I suggest you take a hop over to her blog and check it out. It’s so darned esthetically pleasing to boot! Categories: Uncategorized | Tags: food, foraging, hunger, recipes, SNAP, supplemental food program, wild foods | Permalink. 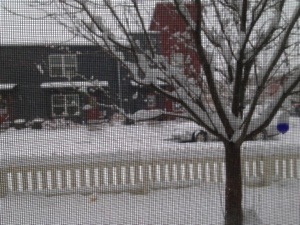 Well, the snow is here on the Front Range and so is the cold. A high of 18 degrees has me pleased to know that my munchkins will be enjoying indoor recess this week. It also tells me that they’ll be playing some sports on the Wii to get their sillies out. What do YOU like to do when the cold sets in and the snowfall has begun? Categories: Family, Uncategorized | Tags: cold, exercise, fitness, snow, snowshoes, Winter | Permalink. Where does one begin? It’s been so long since my last confession. Since that time, last June: The Colonel and I have survived an auto accident in which our car was smashed by a semi-truck (Yes, we now know what it feels like to be “hit by a truck”. That said, we’re so thankful for our Nissan Pathfinder that we got a new one. ), jumped on a plane four days later to spend time with the dad-in-law, came through the Colorado floods virtually unscathed (my kids’ school took a lot of damage, which meant they were home with me for almost a MONTH), managed to put together a lovely bridal shower for DL, ended up also planning the bachelorette party in lieu of my other two daughters (Man, am I glad DL isn’t a huge partier and DIDN’T want strippers! ), hosted a Thanksgiving dinner for about twenty (without drying the breast meat), and…married off DL to MW! And I’ve survived ALL of it! DL and MW put together what could possibly be the most genuine, natural and beautiful ceremonies known to man. I’m not joking, she was actually asked to teach a class on wedding planning. It was THAT good. Now that you’ve been brought up to date, I can tell you why I’m here…I missed you, or “it”. Blogging, that is. I need the introspection. I need to be checking in and identifying what I’m feeling. I can tell you that, as I continue to have pieces of glass removed from my body, I am thankful it was US, in OUR car that DIDN’T have kids in it, that were in the accident. Any smaller car would have been crushed to pieces; at least our car did some damage in return. I am thankful for my sis-in-law and our family friend who came for the wedding, because they kept us grounded and calm in the chaos. I am thankful that my dad didn’t throw away the turkey skin when he carved the bird, even though he thinks I likely used it to make stock. I am thankful for the technology that allowed my mom and step-dad to be present at my daughter’s wedding when they weren’t able to be there physically. 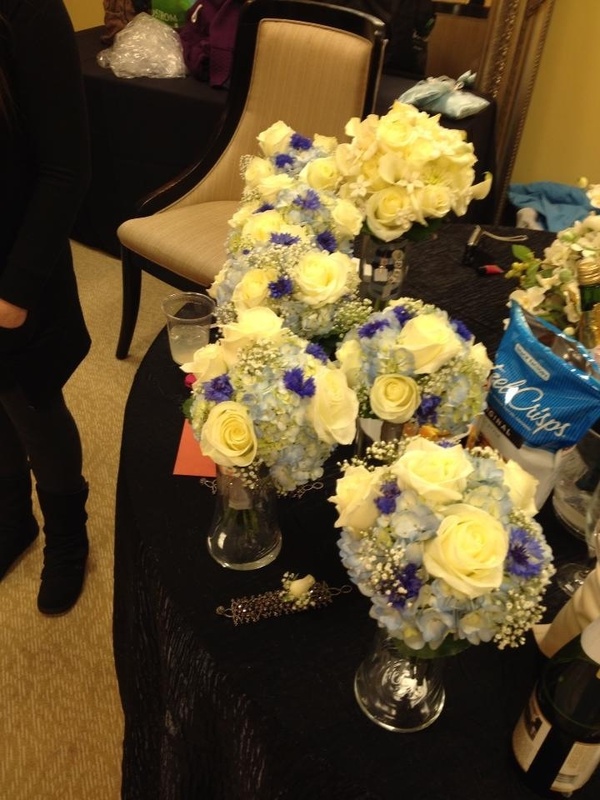 And I am thankful that we were all able to bring DL’s mom to the wedding festivities in spirit. I can also tell you that I was so very sad to see the foraging season coming to an end with the cold and snowy storm that was to blow in this afternoon. What a wonderful surprise to be able to connect with my girl Butter for one last outing! Dandelion greens, prickly lettuce, wild onions and horehound will go into fresh salads and meatballs, infused oils and butters, and be made into candies. And who DOESN’T love a friend who sends you off with peach-chili chutney for her young apprentice, along with chokecherry jam and Queen Anne’s Lace jelly?! To find out just how amazing Butter is, check her out at Hunger and Thirst. Categories: Family, Foraging, Uncategorized | Tags: blessings, chaos, family, foraging, friendship, Thanksgiving, wedding | Permalink. I love, love, LOVE this post! A wealth of information, right at our fingertips. I love to see how people react when they find out that we don’t use the normal beauty products you find on the grocery store shelf. It’s usually either a big grin, followed by a “Me, too!” or it’s a “Really…” as they move backwards slowly. We do not have any of the normal shampoo and conditioners, liquid hand soap, or wall mounted air fresheners. 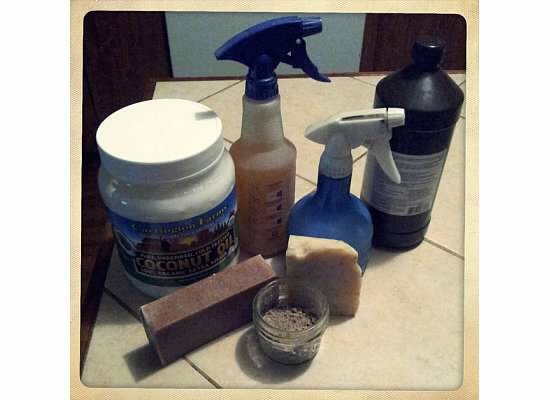 What you will see are hearty bars of homemade soap, bottles filled with apple cider vinegar and tubs of oil. And then I just smile, because I love telling people they do not need to be shnooked into spending bookoos of dollars in their grocery cosmetic isles! And their body will thank them with boundless thanks in the long run. 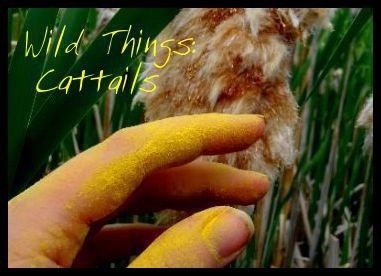 Hunger and Thirst’s Wild Things in June…Cattails! Head on over to Hunger and Thirst and learn what you can do with Cattails (this month), or submit a recipe. This is probably my favorite blog out there…and she’s become my friend and mentor. Categories: Foraging | Tags: Cattails, culinary, food, foraging, nature, recipes | Permalink. So well said and so very true. I’m fascinated by this woman already. A place for tea, cakes and cartomancy. Teaching parents what we should be doing by using examples of what we shouldn't do.